The nominations process for the British Universities and Colleges Sport (BUCS) Hall of Fame has entered its final two weeks. The Hall of Fame is being launched as part of the BUCS centenary celebrations this year, with the organisation planning to recognise the achievements of athletes, coaches and support staff. BUCS confirmed last month that Jessica Ennis-Hill had become the first inductee into the Hall of Fame. Ennis-Hill attended the University of Sheffield and won a bronze medal in the heptathlon at the 2005 Summer Universiade at Izmir in Turkey. She went on to secure Olympic gold at London 2012 having been the face of Games, before winning silver at Rio 2016. "University sport is fantastic for so many people on so many levels ... it gave me so much"
Former Olympic gold medallist and world champion Jessica Ennis-Hill tells BBC Breakfast why her granddad is her Unsung Hero. The BBC Get Inspired Unsung Hero award returns to celebrate volunteers who dedicate their free time to help people participate in grassroots sports and fitness activities. Jessica Ennis-Hill has been practising her latest sporting role at home by subjecting her four-year-old son to sudden bursts of adjectives about the most inspiring sporting moments of the year. 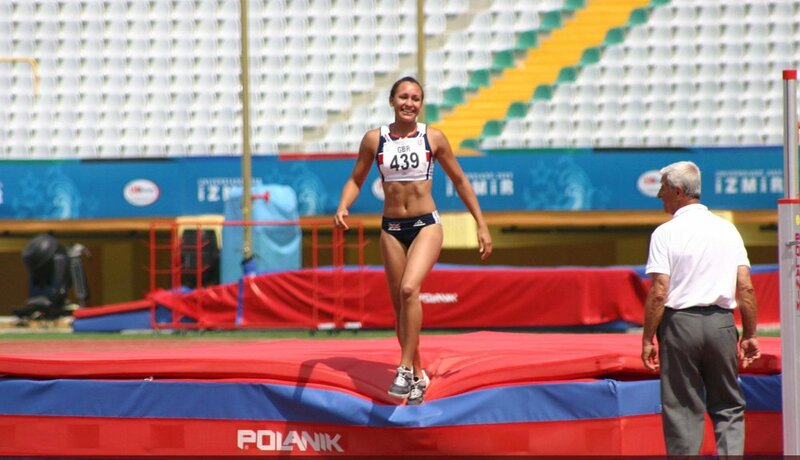 The 2012 Olympic heptathlon champion has turned sports presenter and her first show will be broadcast this evening. Gareth Southgate says that the disappointment of England's World Cup semi-final defeat "will always be there - until we go on and win something". In a BBC interview with Dame Jessica Ennis-Hill, manager Southgate said that the Three Lions "weren't quite ready to win" in Russia. "We had been on a brilliant journey together," he said. "Maybe we weren't quite ready to win collectively at that moment but there is a platform for us to build on." The interview will be aired on Tuesday during Sports Personality 2018: A Great Sporting Year (22:45 GMT, BBC One and iPlayer). She is a world-class sports star with two Olympic medals to her name and an enviable set of abs to boot. So it may come as a surprise that two years after retiring Dame Jess Ennis-Hill doesn’t miss being an athlete. Jess soared to fame as the poster girl for the London 2012 Olympics, where she won a gold medal in the heptathlon. But Jess, who first got into athletics when she was nine, admits she took up the sport quite by accident. A tearful Dame Jessica Ennis-Hill declared there could have been no better place than a packed London Stadium to receive her re-allocated World Championships gold medal. Ennis-Hill was finally presented with the 2011 heptathlon title robbed from her in Daegu by Russian drugs cheat Tatyana Chernova in the build-up to the scene of her fairytale triumph at London 2012. This year’s worlds had already witnessed several such medal ceremonies for the likes of Jo Pavey and Christine Ohuruogu but the recently-retired queen of British athletics proved the most popular recipient of all. Almost five years to the day since she stood atop the podium at the same venue after winning Olympic gold, a visibly moved Ennis-Hill admitted it was both “really special” and “very surreal” to do so once more. Heavily pregnant with her second child and with her son, Reggie, looking on, the 31-year-old said of her second of three world golds: “It obviously feels amazing. I would loved to have had it at the time but there couldn’t have been a better place bar having it at that actual moment.